Troy and Tammy Wolbrink: Getting Ready to Lead a Unique Workshop! Getting Ready to Lead a Unique Workshop! Scott Morton, the Vice President of Development for the Navigators, has been a leader in the missions community by helping missionaries understand their Biblical role when it comes to raising funds. 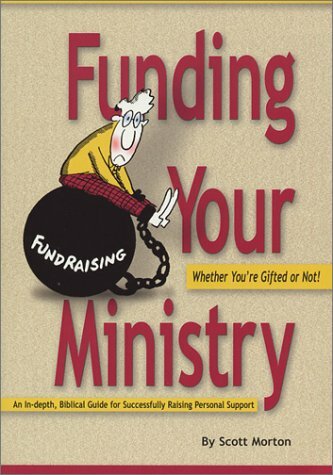 He authored an excellent book called “Funding Your Ministry” which addresses many myths, obstacles and incorrect attitudes faced by missionaries and non-missionaries alike. His book has been very helpful and encouraging to me personally. Past year’s participants express appreciation for our software! I have the unique opportunity to attend this symposium in a few days and lead a workshop where I can seek advice in how to improve our software for helping missionaries in this critical area. 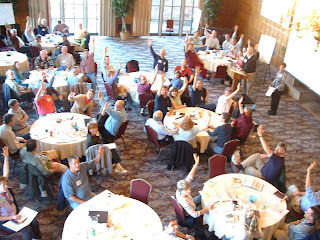 Most of the attendees are missionaries themselves who coach other missionaries in how to effectively raise support. I’m very much looking forward to getting input from these experts! Please pray for my preparation for the workshop, and for the workshop itself. I really believe this is a unique opportunity, and I really feel overwhelmed about trying to narrow down my list of questions and topics to fit within the time given. I want to make the most of this opportunity, and I really need God’s help!